In May, 2004, over 500 Shell and Texaco service stations in Louisiana and Florida stopped selling gasoline (produced at the Shell-Motiva oil refinery in Norco, Louisiana) which had been tainted with sulfur that caused fuel gauges to malfunction. Soon after the problem emerged, Shell volunteered to fix broken gauges in tens of thousands of vehicles at a cost of $200 to $1,000 each, depending on the car model. By September 2004, Shell had processed about 81,000 claims, meaning the firm, by attorneys for both sides in a class-action law suit, reached a settlement that called for Shell to expand the repair program and provide $3.7 million to cover general damages. The originally negotiated contract was a “production sharing agreement” which gave the Russian state revenues only after Shell and the other partner companies had recouped their costs and made a substantial return on their investments. Thus Shell was substantially protected from cost overruns. In late 2006, Shell and its partners in Sakhalin Energy reached an agreement with Gazprom for the Kremlin controlled company to become the majority shareholder in the venture. Russian President Putin attended the signing ceremony in Moscow and announced that environmental issues had been resolved. In September, 2006, the European Commission fined Shell US$137m for their role in a cartel that fixed the price of bitumen. 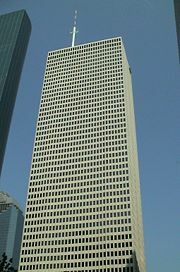 In January 2006, Royal Dutch Shell Plc agreed to a $300,000 settlement of allegations that two of its subsidiaries, Shell Trading U.S., located in Houston, and London-based Shell International Trading and Shipping, engaged in “fictitious crude oil futures trades on the New York Mercantile Exchange.” Another subsidiary, Coral Energy Resources, paid US$30 million in July, 2004, to settle accusations that it submitted false price data to publishers in an attempt to manipulate the price of natural gas futures. 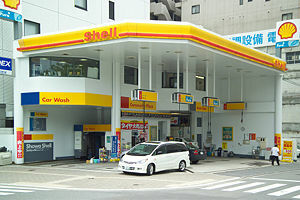 In July, 2007, Shell, which has been active in Iran for many years, indicated that it had signed an agreement to develop a gas field in Iran, despite renewed pressure about the risks of operating in a country where America has imposed economic sanctions In May, 2008, Royal Dutch Shell and Repsol announced that they had withdrawn from a US$10 billion development of phase 13 of Iran’s South Pars, the world's largest gas field, apparently succumbing to pressure from the United States. In 2002, a $490 million judgment was made by a Nicaraguan court jointly against Shell Oil Company (SOC) and three other named defendants (not affiliated with SOC), in favor of 466 plaintiffs for alleged injuries resulting from alleged exposure to dibromochloropropane (DBCP), a pesticide manufactured by SOC. The pesticide was manufactured prior to 1978 and was not shipped or sold by SOC to any party in Nicaragua. A number of incidents over the years have led to criticism of Shell's health and safety record. Much of Shell's public relations initiative emphasizes its embryonic renewable energy business, though it remains a relatively small business compared to the core hydrocarbon extraction, processing and marketing operations. Shell is researching ways to reduce the impact of oil processing and usage on the environment, such as capturing CO2 from power plants and refineries and storing it safely underground in old oil and gas reservoirs, or dissolving it in vast underground saltwater deposits known as saline aquifers. . Shell's response to the problems of Brent Spar and Nigeria was to launch an internal review of processes and an external communications campaign to persuade stakeholders of their commitment to corporate social responsibility. In response to criticism of its track record on environmental matters Shell published an unequivocal commitment to sustainable development, supported by executive speeches reinforcing this commitment. On April 22, 1998, Shell Oil (the U.S. subsidiary) was one of the first companies to leave the Global Climate Coalition, a lobby group which had opposed restrictions on greenhouse gases, and the Royal Dutch/Shell Group itself was never a member. Other companies followed and the Global Climate Coalition was soon deactivated. Shell Chairman Philip Watts gave a 2003 speech in Houston calling for skeptics to get off the fence and take action to stop global warming "before it is too late". Shell is also a founding member of the World Business Council for Sustainable Development, which Watts led as Chairman in 2002-2003. Shell operates a number of programs both on the local and corporate levels to make positive contributions to society. It provides education and training to prepare local students for careers in the oil and energy industries, and seeks to hire employees and purchase materials locally in order to contribute to community development. Shell cooperates with NGOs (non-government organizations) to create development programs in the countries where it operates, and invests in small businesses concerned with sustainable energy, climate change, and biodiversity.. For more than 21 years, Shell's LiveWIRE initiative has encouraged young people to start and develop their own businesses in the UK and 25 other countries . 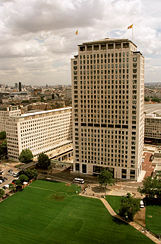 The Shell Centenary Scholarship Fund (TSCSF), established in 1997, offers approximately 90 scholarships annually to allow postgraduate students from developing countries to study in the United Kingdom and the Netherlands, and gain skills that will make a long-term contribution to the further development of their countries. The Shell Foundation, established by the Shell Group in 2000, as an independent charity registered in the U.K., seeks to use business know-how, management tools and assets to tackle global problems. ↑ Jean Heller, ZSt. Tainted gas gums up fuel gauges Peteresbiurg Times, (May 29, 2004). Retrieved October 25, 2008. ↑ Dominic White, Shell drops 'bombshell' on reserves Telegraph.co.uk, (Jaunary 9, 2004). Retrieved October 25, 2008. ↑ Shell’s Annual Report and Form 20-F for year ending December 31, 2006 (March, 2007) Retrieved October 25, 2008. ↑ Bloomberg Shell Loses AAA Credit Rating, Lowered to AA+ by S&P (Update2) (April 19, 2004) Retrieved October 25, 2008. ↑ Final Notice Financial Services Authority (August 24, 2004) p11: para60. Retrieved October 25, 2008. ↑ CNN Money, Shell settles fraud case for $150M (August 24, 2004) Retrieved October 25, 2008. ↑ Nic Hopkins and Angela Jameson,Investors say that heads must roll: Fine Thing timesonline. (August 25, 2004) Retrieved October 25, 2008. ↑ Simon Bowers, Sakhalin issues 'settled' - as Russia takes 50% stake The Guardian(UK). (December 22, 2006). Retrieved October 25, 2008. ↑ Bowers, Sakhalin issues 'settled' - as Russia takes 50% stake The Guardian(UK). (December 22, 2006). Retrieved October 25, 2008. ↑ U.S. Commodity Futures Trading Commission Assesses Penalties of $300,000 Against Shell-Related Companies and Trader in Settling Charges of Prearranging Crude Oil Trades U.S. Commodity Futures Trading Commission (January 4, 2006) Retrieved October 25, 2008. ↑ Russell Hotten, headline “Shell’s Iran venture to continue” Telegraph.uk, (July 27, 2007) Retrieved October 25, 2008. ↑ Shell’s Annual Report. Retrieved October 25, 2008. ↑ Shell.com Carbon Capture and Storage Retrieved October 29, 2008. ↑ Sustainable Development in Shell Ek Kia Tan (April 19, 2005) Retrieved October 25, 2008. ↑ ExxonSecrets Factsheet: Global Climate Coalition Exxonsecrets.org Retrieved October 25, 2008. ↑ Guardian News and Media Limited Shell chief delivers global warming warning to Bush in his own back yard Terry Macalister (March 12, 2003) Retrieved October 29, 2008. ↑ Shell boss warns of global warming 'disaster' Saeed Shah, Independent Newspapers UK Limited (January 26, 2005) Retrieved October 25, 2008. ↑ Social Investment Shell.com. Retrieved October 29, 2008. ↑ Shell LiveWIRE. What is Shell LiveWIRE? Retrieved October 29, 2008. ↑ Shell Centenary Scholarship Fund Retrieved October 29, 2008. ↑ Our Approach Shell Foundation. Retrieved October 29, 2008. This page was last modified on 22 April 2019, at 23:30.